Displays the video output of sixteen separate computers on a single monitor or projector. 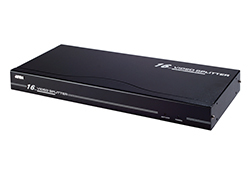 High resolution video up to 1920 x 1440 @60Hz; DDC; DDC2; DDC2B. 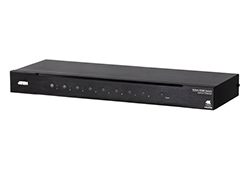 The VS1601 Video Switch is a control unit that allows you to conveniently display the video output of sixteen separate computer systems on a single monitor, or via a multimedia projector. It features stereo audio support; easy computer selection via pushbuttons; intelligent infrared (IR) remote control. 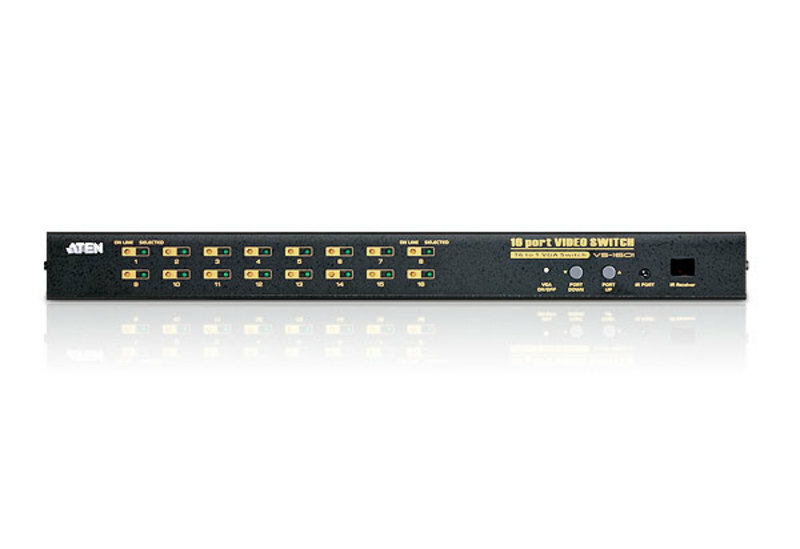 The VS1601 is rack mountable and occupies 1U of space; furthermore, it saves extra monitor space, extra power costs, and eliminates the inconvenience and wasted effort involved in constantly moving around from one computer to another. 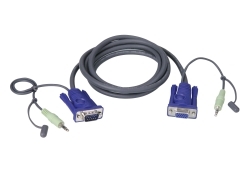 Supports VGA, SVGA, XVGA and MultiSync monitors. 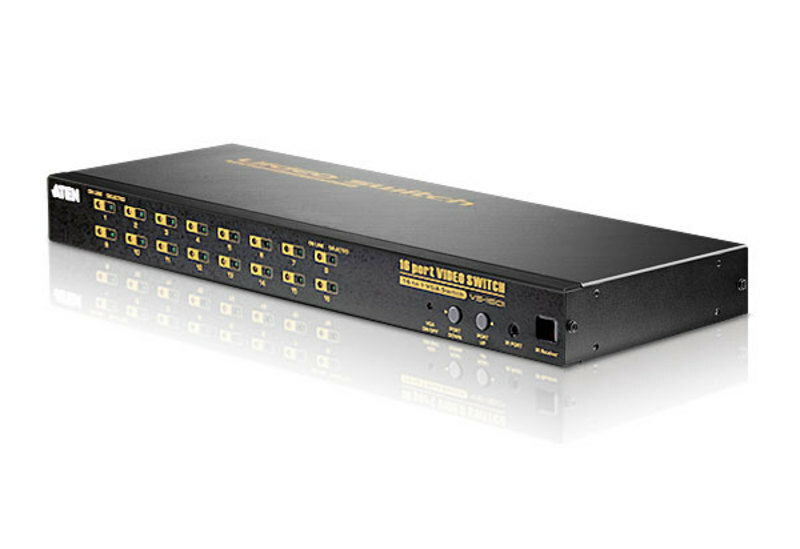 External IR receiver (1.8m) for maximum efficiency and convenience. 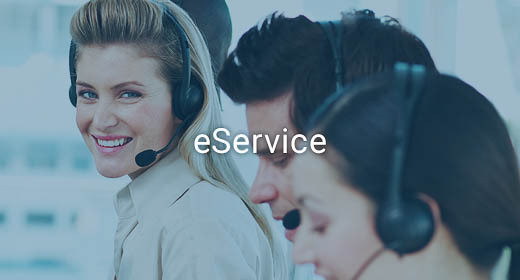 Fast and convenient computer selection via push buttons or infrared (IR) remote control. Maintains high video resolution over long distances. 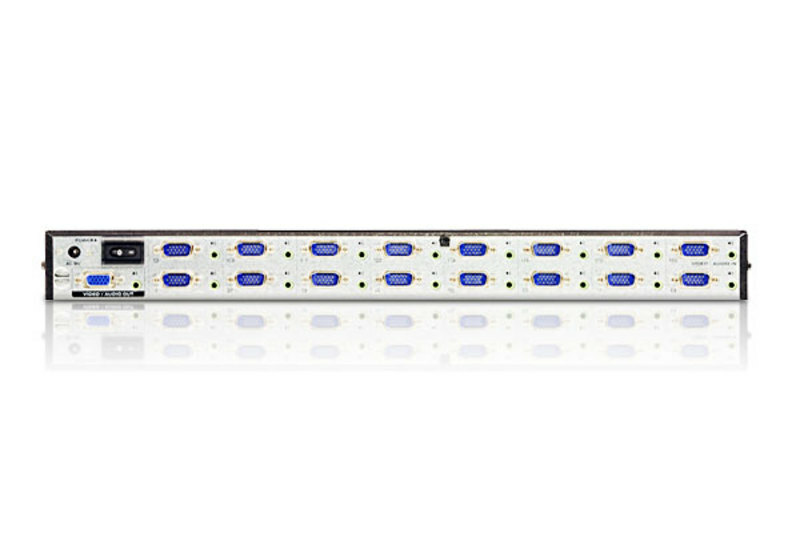 Designed for enterprise use - 1U in size and rack mountable.